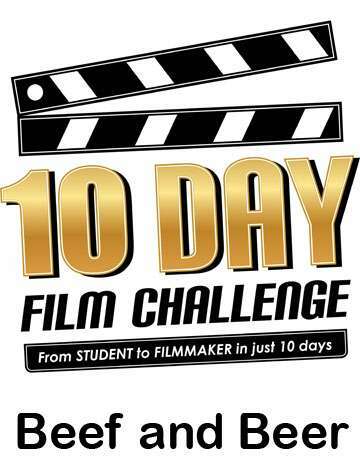 The Beef and Beer is here to support the 10 Day Film Challenge. By supporting this event, you will help keep the participation free for all students in teachers across the country. The Beef and Beer will center around an Eagles game viewing party. There will be "Super Bowl Party" style fun like block pools and 50-50's. There will be plenty of gift baskets for our gift basket auction, too. Food and Drink (alcohol included) for 4 hours will be part of your $30 ticket price. You're going to watch the Eagles game anyway, right? So come out and enjoy it with your friends and help support our non-profit that makes the dreams of filmmaking students everywhere come true. PARKING: Metered Street Parking is available. There are also 2 Parking Lots within 1/2 block of venue. PARKING LOT NOTE: Please note that BOTH of these lots (located at 2nd and Lombard Sts.) require that you pay when you EXIT. You will NOT pay anyone BEFORE you enter the garage. You pay as you EXIT. Do not be fooled by someone trying to collect money from you as you enter either of these parking lots.